Most of us cannot stay away from heat styling, which can leave our hair dry, damaged and even brittle. Excessive styling can cause serious damage to your beautiful locks. If you are struggling with constant frizz and breakage, treat your hair to a hydrating hair mask. Unlike the regular conditioner you use in the shower, hair masks are made for the specific needs of your hair. With consistent use, hair masks can drastically improve your hair and bring it back to health. Hair masks are concentrated and nourishing treatments for your hair, usually containing oils, butters and other proteins to hydrate and nourishing your hair. Since hair masks are meant to saturate and sink into your hair for a longer period of time than shampoo and conditioner, there are more visible and dramatic results after each use. About once a week leave a mask put a mask on your hair after you shampoo and let it work its magic. Follow that with a quick rinse, skip conditioner and style your hair as desired. Here are Sevmylook’s Favorite Hair Masks! Check them out on our E-Shop! 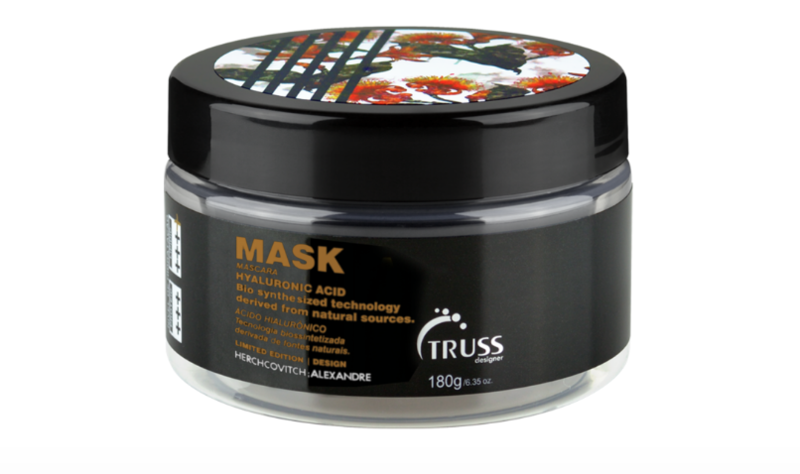 This mask will neutralize any orange tones in both bleached and blonde hair. Also perfect for grey hair who needs help eliminating copper tones. Not only will this mask function as a color corrector and neutralizer, it will also hydrate and soothe dry brittle hair. The moisturizing travel kit is practical and efficient, highly recommended as a weekly treatment for intense nourishment, specially when exposing your hair to summer aggressions or in a situation where your hair needs extra hydration and recovery. The 3 step regimen will only take 7 minutes and the results will make you #crazyforTruss. Indicated for all hair types. Weekly use. Treats and restores shine, softness and vitality. Rich in proteins. Promotes healthy hair, long-lasting hydration, elasticity and intense shine.